Made for those who like to leave nothing behind. 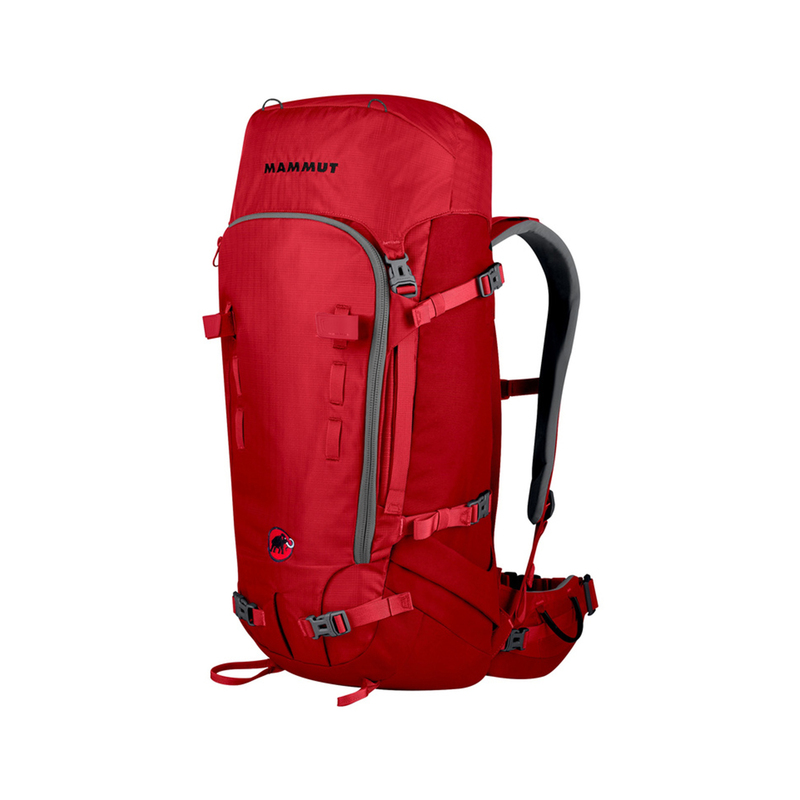 The Mammut Trion Pro is a robust mountaineering and alpine climbing backpack that's fully catered for long-haul ski mountaineering, alpine climbing, and mountaineering expeditions. Side ski attachments, ice axe carriers, trekking pole straps, two gear loops, and a rope strap, along with lateral compression straps and daisy chain loops, allow you to carry all of your equipment securely on the outside of the pack without wasting valuable storage space inside. The highly abrasion and tear-resistant Titan Ripstop Nylon material features a 5,000mm water column, and the high-density, 2-layer EVA foam padded back ensures comfort under heavy loads. 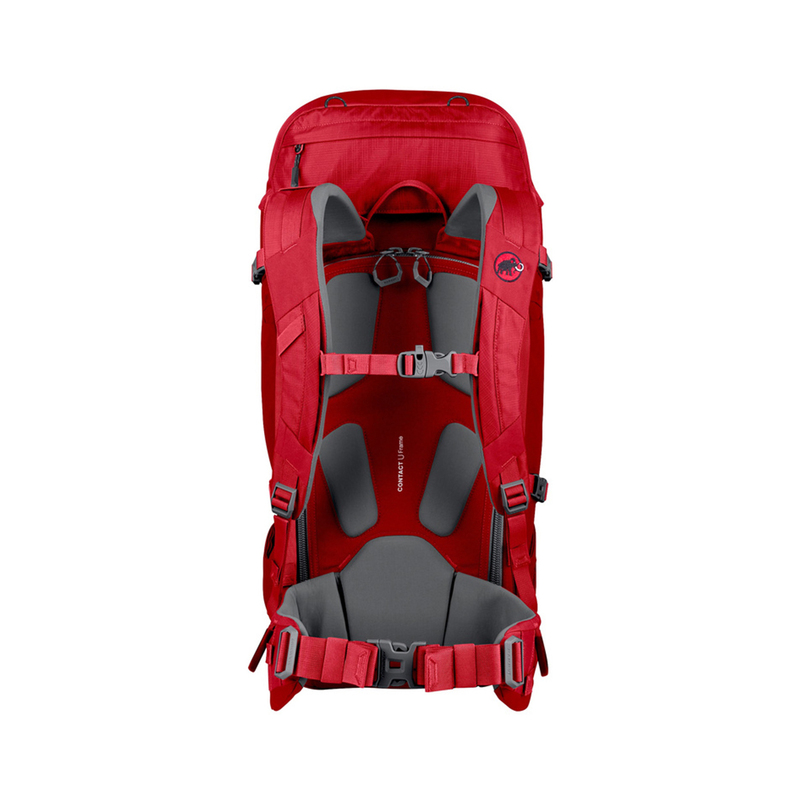 The front zipper is also reinforced to protect against tears from crampons. If you're an alpinist, a mountaineer, and a skier who likes to mix all three, the Mammut Trion Pro has a dedicated place to carry, secure, and organise every piece of your gear.